Solder-free connection and branching LED strips to an X-shape. 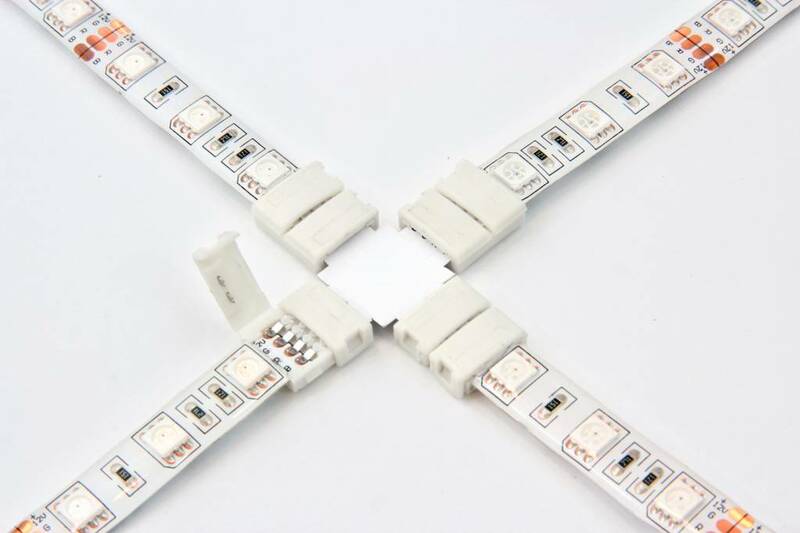 Carefully remove part of the protective silicone layer of the LED strip with a sharp utility knife and slide the exposed copper contacts into the connector. 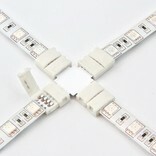 Ideal for in or under cabinets or other creative lighting.